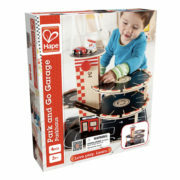 This wonderfully detailed wooden garage will have busy drivers coming and going all day. 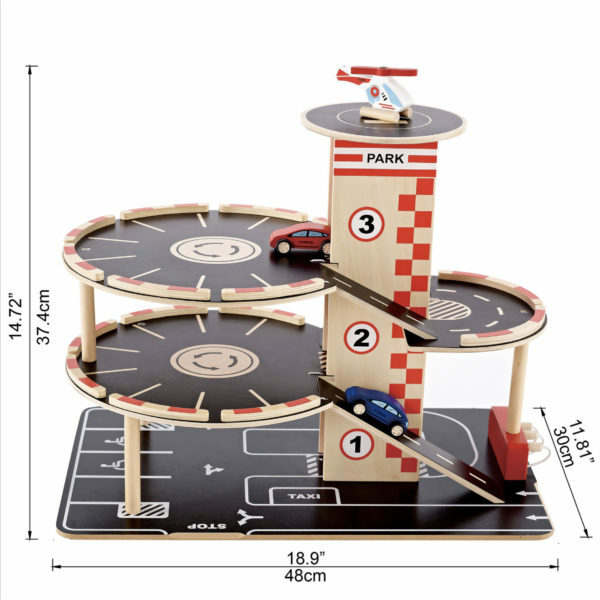 There is a roof top landing pad and helicopter for those urgent trips, four parking levels, a working lift to transport vehicles to the upper floors, and ramps to speed cars back to the ground level service station. 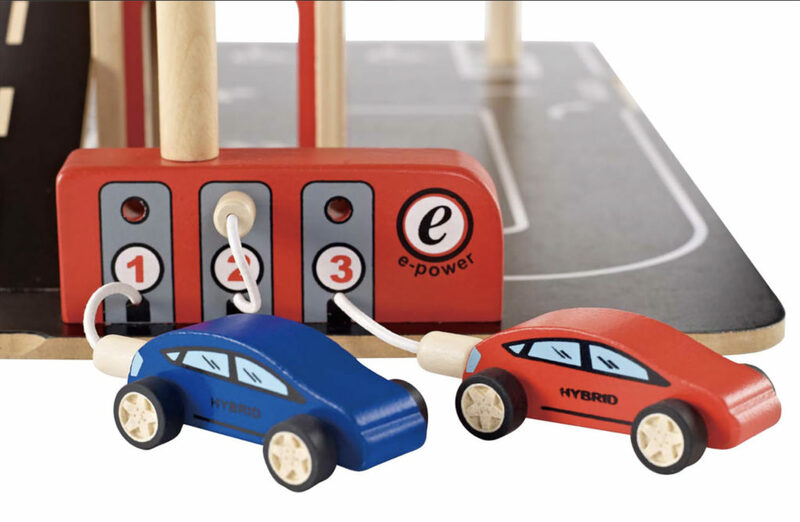 Bringing things right up to date, this impressive first garage even includes two hybrid cars and recharging stations. 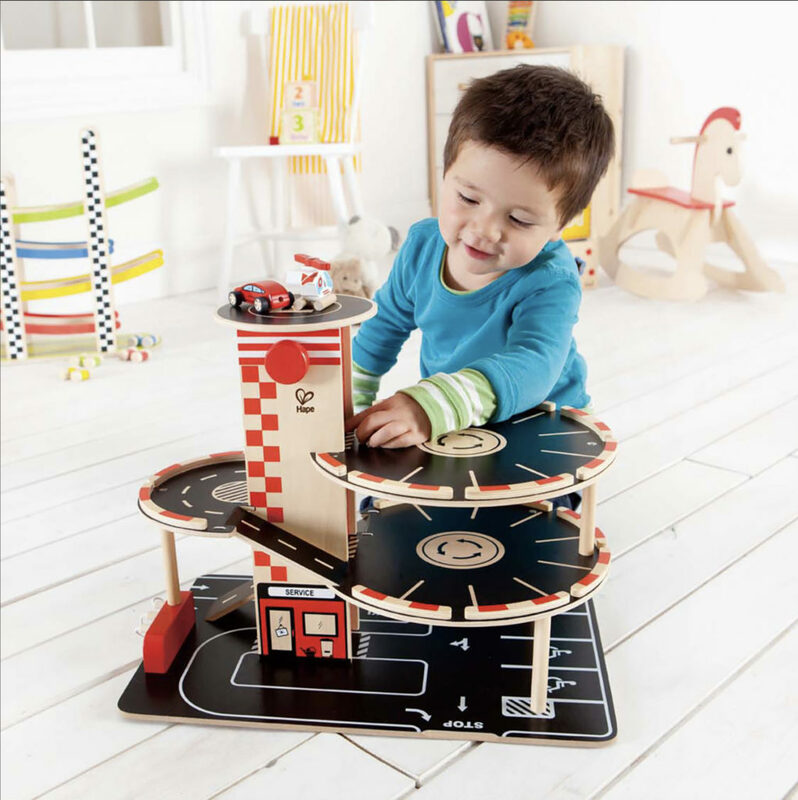 This sturdy wooden toy garage has a natural wood finish and bold detailing. 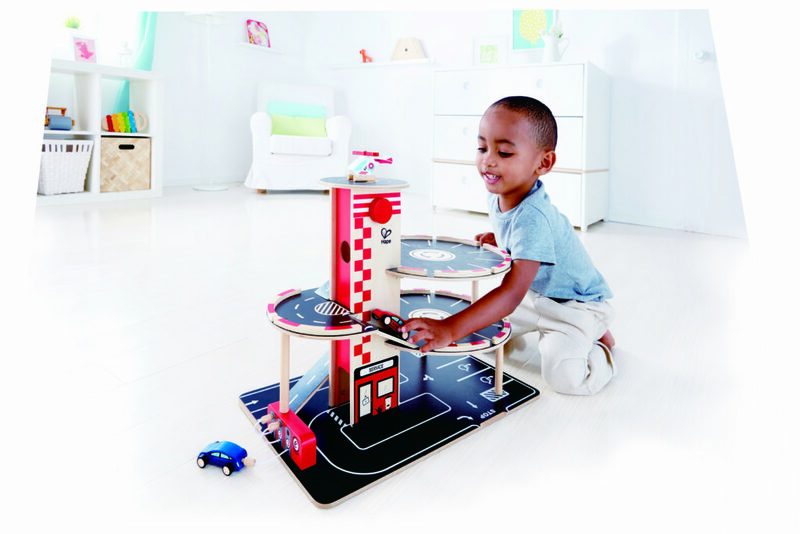 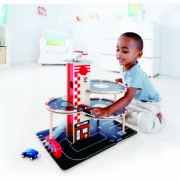 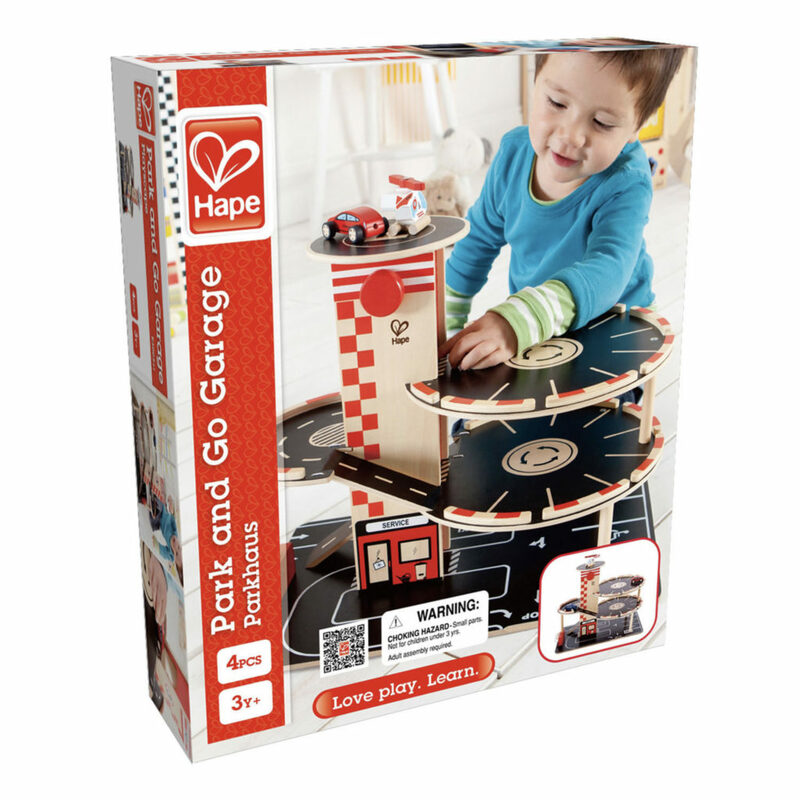 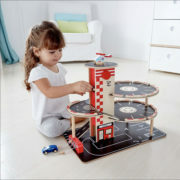 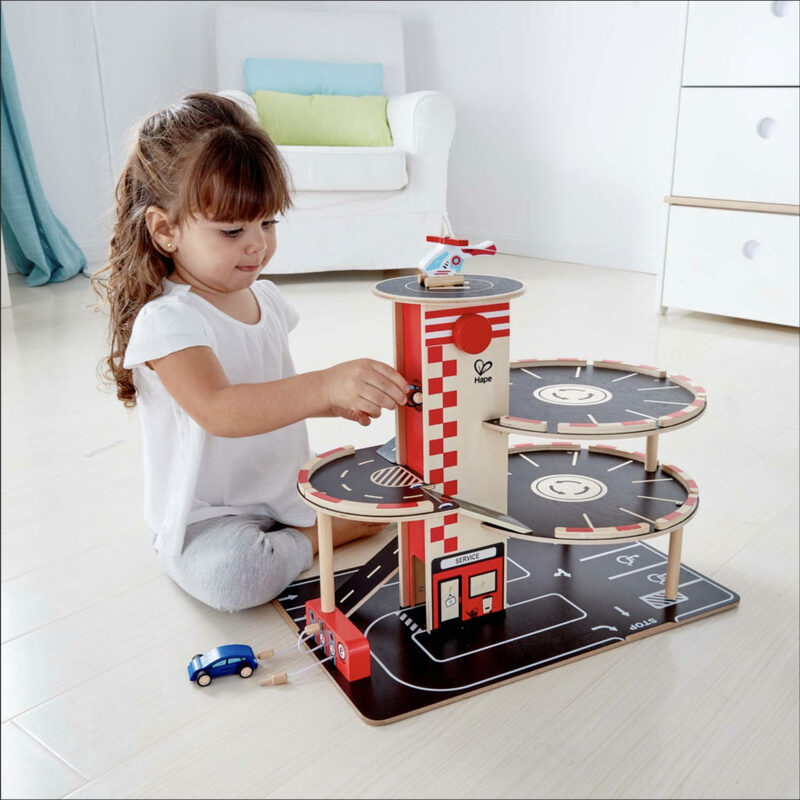 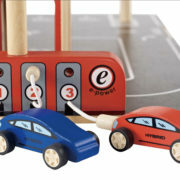 Little motor enthusiasts will love this fabulous Park and Go Garage from Hape. 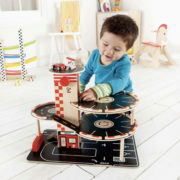 Wooden vehicles help promote fine motor skills, good hand/eye coordination, and encourage imaginary play.